Vertical series with folded base. Performance: Form A and form AX with open clamping lever and two flanged washers. 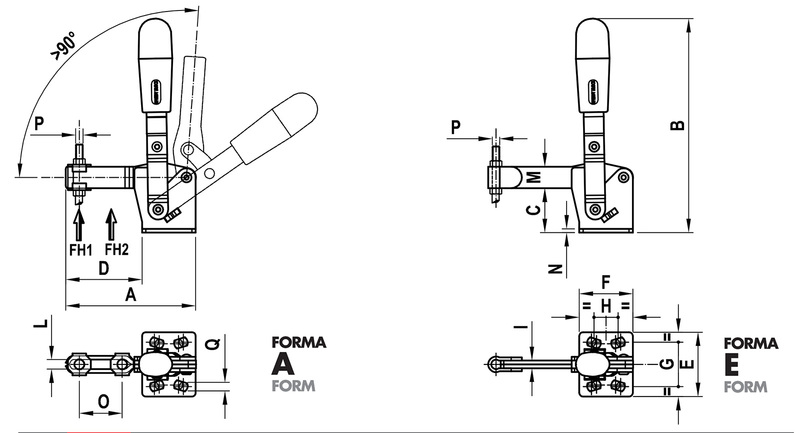 Form E and form EX with full clamping lever and bolt retainers to be welded in the desired position and angle. 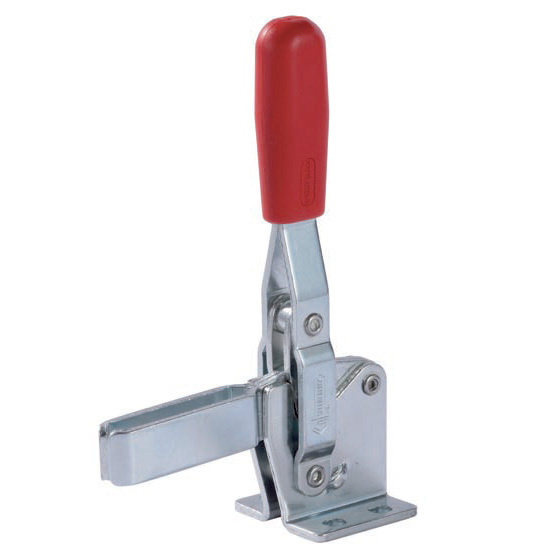 Features and applications: During the closing, the clamping lever is guided laterally to ensure greater stability against possible transverse stresses. You can find this series in pneumatic version in "Pneumatic series"